A family owned and operated business out of Avon, Indiana with over 34 years of experience. Franky Polley was the former owner of Thiele Heating & Air Conditioning from 1981-2005. 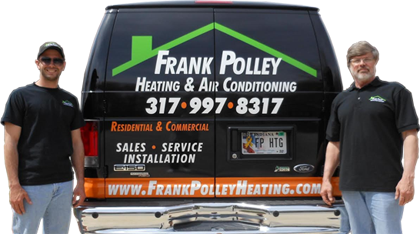 After selling Thiele he started his own company Frank Polley Heating and Air Conditioning in 2009. By keeping prices to a minimum, we strive to give our customers the high quality products and workmanship that they deserve at affordable rates.